Does Jesus speak to you? No, not speaking to you through His Word, or through the conviction of your conscience! But does He actually and literally speak directly to you…in your mind? In other words, are you hearing a voice in your mind, which purports to be God? Well, don’t laugh! There are many people today who do confirm that they hear a voice, claiming to be the voice of God, speaking good words to them! But though this statement from God may seem reasonable, the fact that Tara actually heard these words in her head makes a world of difference! Did God actually speak these words to her? Well Tara insists that they were spoken by God to her! Now, if the one listens to religious radio or TV, this question is frequently heard addressed. And according to many Bible authorities today, such people as Tara must decide if that which was uttered by that voice in their mind, is fully in harmony with Scripture, to be from God. And if those words spoken to Tara were spoken by a human being, then no further tests would be required. But since this revelation to Tara was purportedly spoken by God Himself, and not by a mere person, then the standard of validity is much, much higher. In other words, being in harmony with Scripture is merely the first test for any purported direct God-breathed revelation. Now why does there need to be any further scrutiny for this revelation? Well, there are some other principles which come into play, when a person claims to be receiving revelations directly spoken by God. 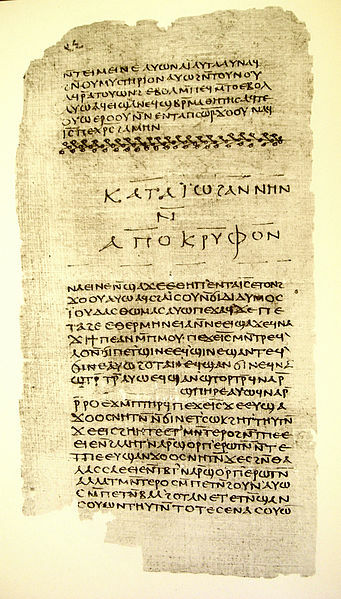 The first principle is found in Matthew’s Gospel… “But He (Jesus) answered and said, It is written, Man shall not live by bread alone, but by every word that proceedeth out of the mouth of God.” Matt. 4:4. These are the words of Jesus, as He answered the Devil in the wilderness of temptation. Now Jesus did not say that, “Man shall live by SOME WORDS”. But Jesus said that “Man shall live by EVERY WORD”. In other words, those words spoken to Tara also proceeded from the mouth of God! So do you see the giant trap here? If Man must live by every word which proceeds from God’s mouth, then that includes Tara’s revelation too! It must be remembered that there were a collection of Apocryphal books which claimed to be God-inspired writings. And these books were written many long centuries ago. But because these writings did not measure up to the Bible in a number of different ways, they have been rejected from being included in the Bible. Yes, if the same scrutiny applied to the Apocryphal writings were applied to TV celebrities claiming to be receiving “God-breathed words”, then it would be very easy to see that such men are uttering counterfeit revelations to their devotees who follow them on TV (or radio). Yes, after the Apostle, John, finished his revelations almost 2,000 years ago, the Bible was forever finished. God said all He wanted to say. And those who think that God is beginning to give more revelations should probably quit listening to that voice speaking to them in their head, and begin studying their Bible very carefully. Now just one more comment. Those many people today, like Tara, are no doubt hearing an actual voice. But let’s not forget the following words of Jesus… “For there shall arise false Christs, and false prophets, and shall show great signs and wonders; insomuch that, if [it were] possible, they shall deceive the very elect. Behold, I have told you before.” Matthew 24:24, 25. Jesus has forewarned us that this day would come! So let us not be so easily deceived!